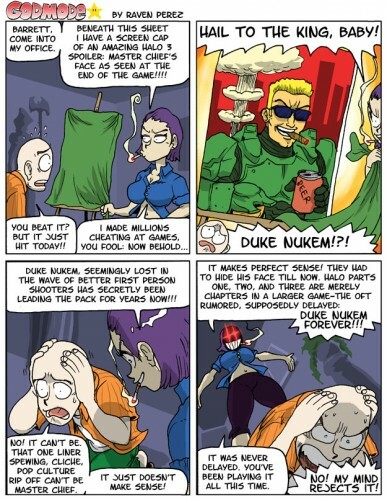 It’s funny because it’s true — that’s the closest anyone will probably ever see again of Duke Nukem. ROFL!!! But now way this is true. MC is no where as mouthy as the Duke. That’s one of the things I liked about the MC. why would he refuse such a cool revelation?